A casino for my event in Kent. 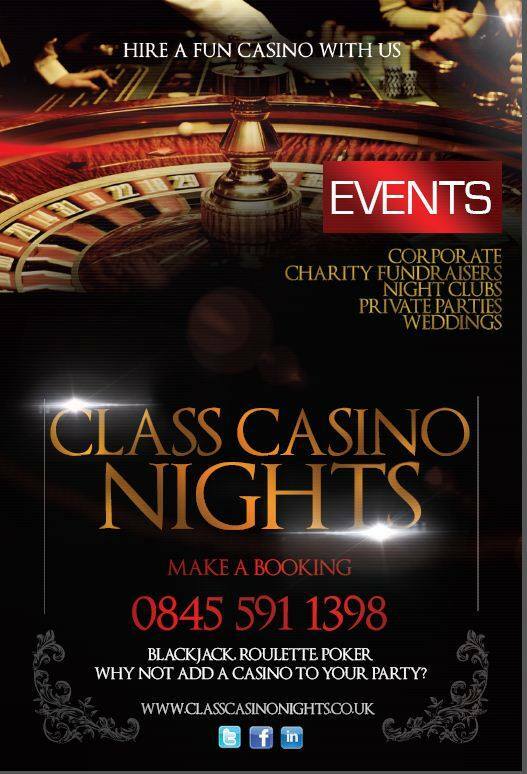 Book Class Casino nights now… With Christmas soon approaching and you looking for ideas to make your event a little different this year… Why not make it a Bond evening with a casino!! We supply casino into weddings, birthday parties, charity fundraisers and for corporate end of year entertainment.